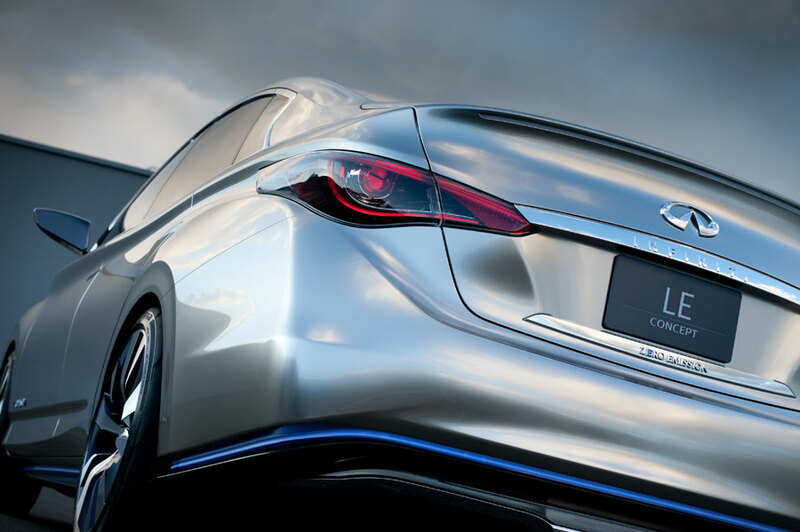 Yesterday we brought you the Worldwide Premier Sneak Peak of the Infiniti LE Concept Luxury Electric Vehicle before its official premier, which happens today at 11:30 am EST. 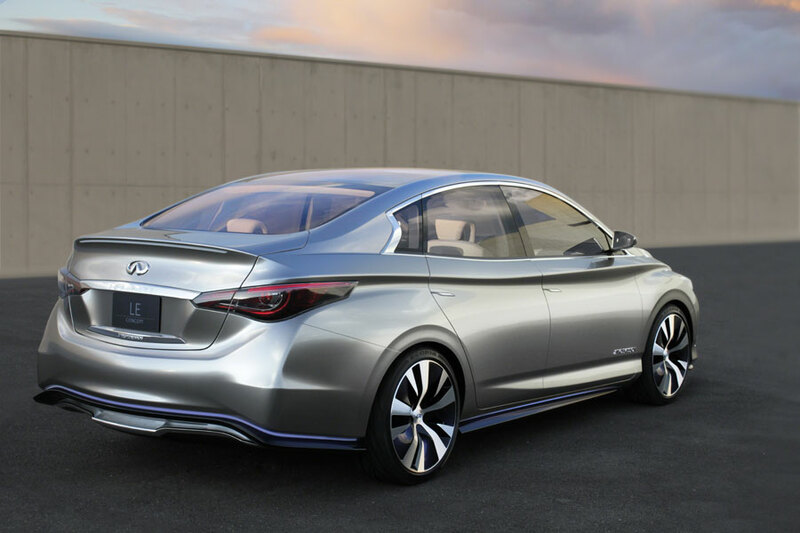 Yesterday was just a quick peek — Nissan and Infiniti Chief Creative Officer Shiro Nakamura simply couldn’t resist the temptation to show off his latest gem, so while talking about the LE Concept he pulled the curtains back for just 90 seconds, then quickly threw them back on. 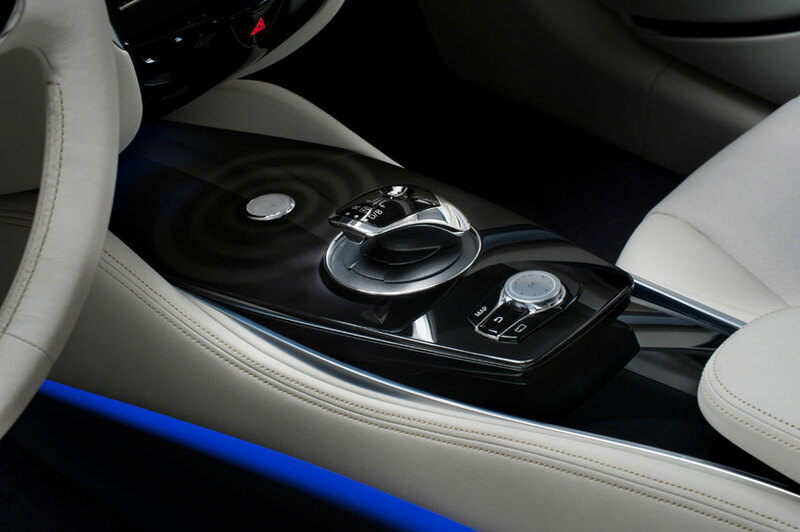 Well now it’s official: here are the production shots of the concept car and its interior, a vehicle that is 85% of the production version (minus things like concept wheels and light-up grill). 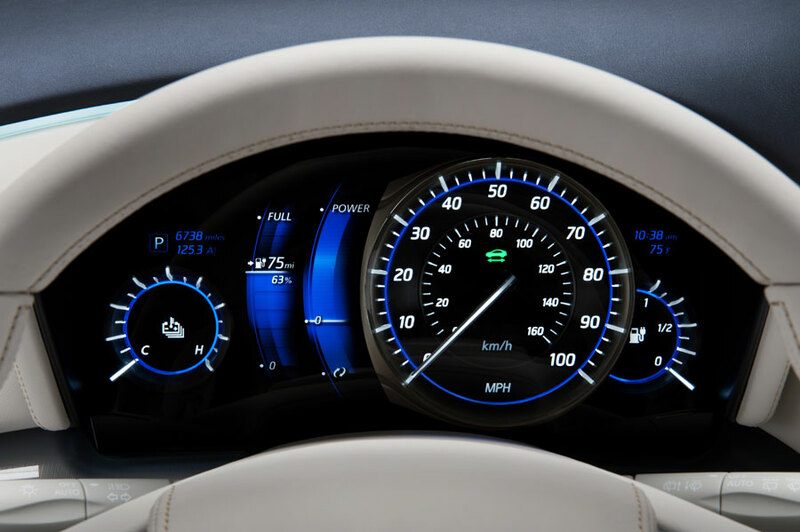 Infiniti’s LE Concept will be the world’s first zero emissions luxury vehicle, a major coup for a brand that is staking its future on the viability and necessity of electric vehicles. 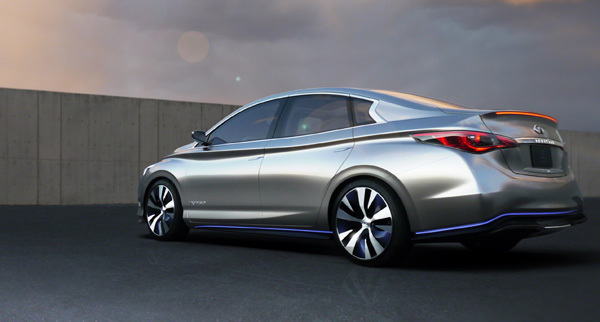 We described the LE Concept in length in yesterday’s post (Shiro’s aesthetic inspirations, the implementation of Infiniti design language vocabulary, the visual separations from Nissan, the importance of prioritizing luxury, etc), but one major addition to note is its recharging system. 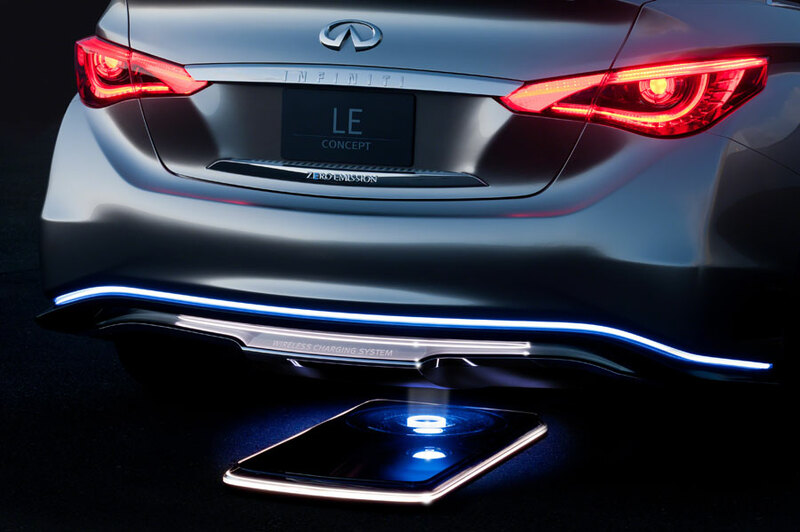 The LE Concept uses electronic park assist to guide your car to the charging station in your garage, which then recharges from a dock wirelessly below the trunk via magnetic induction. 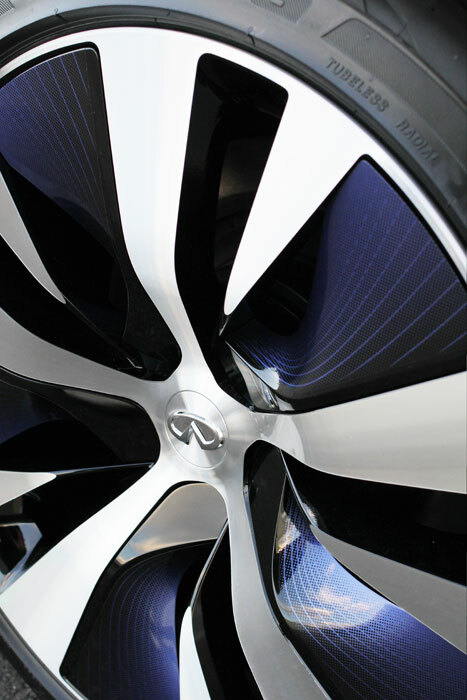 It’s a very cool looking and innovative system that obviously simplifies the charging process. 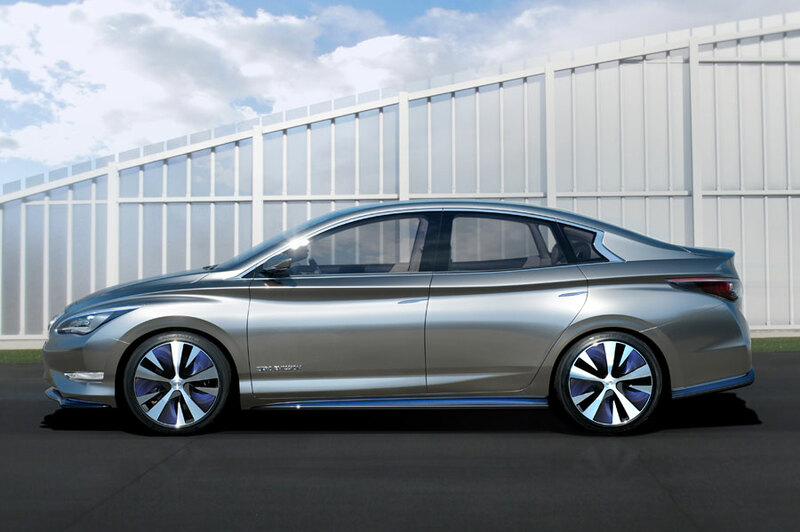 Another note is its telematic system, with which like the Leaf you can find nearby empty charging stations, and even make a reservation to hold one for you. Also like the Leaf, you can use your iPhone to remotely begin charging, stop charging, or even program the car to charge at 3 am under lowest usage times. 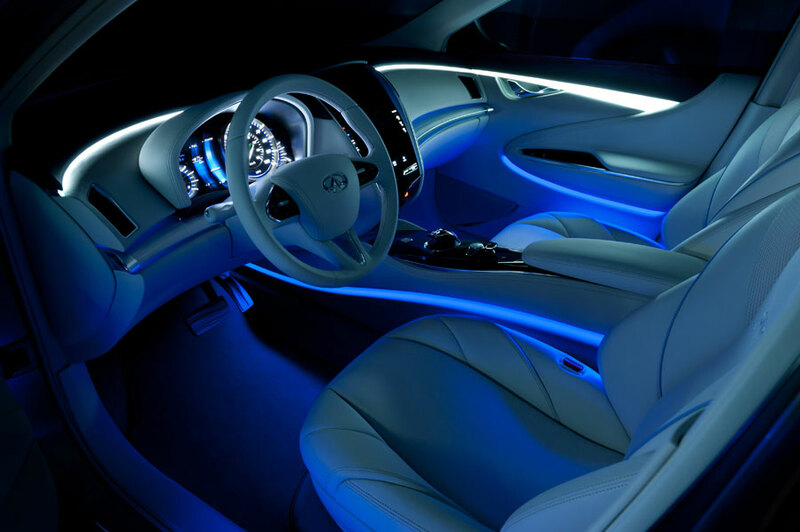 Interior-wise, look out in the gallery below for the Infiniti “double-wave” design, which creates two separate compartments for the driver and passenger. 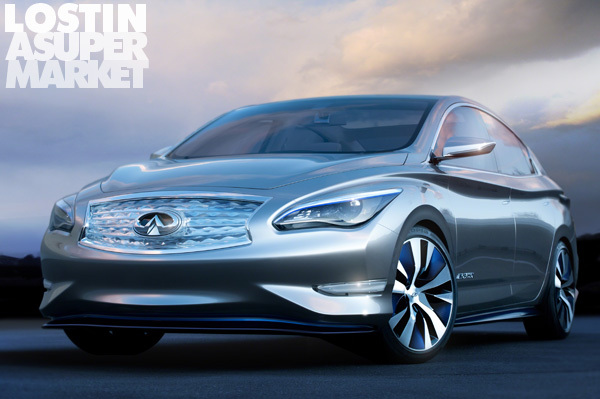 We’ll be bring more about the Infiniti LE Concept in the coming year, but for now enjoy the official production shots.